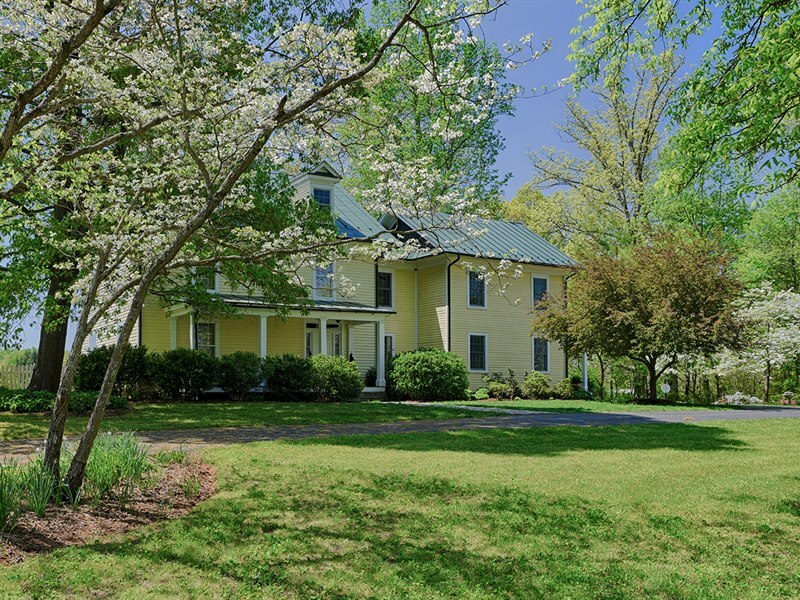 Charlottesville Historic & Old Homes for Sale – Page 2 – by Gayle Harvey Real Estate, Inc. 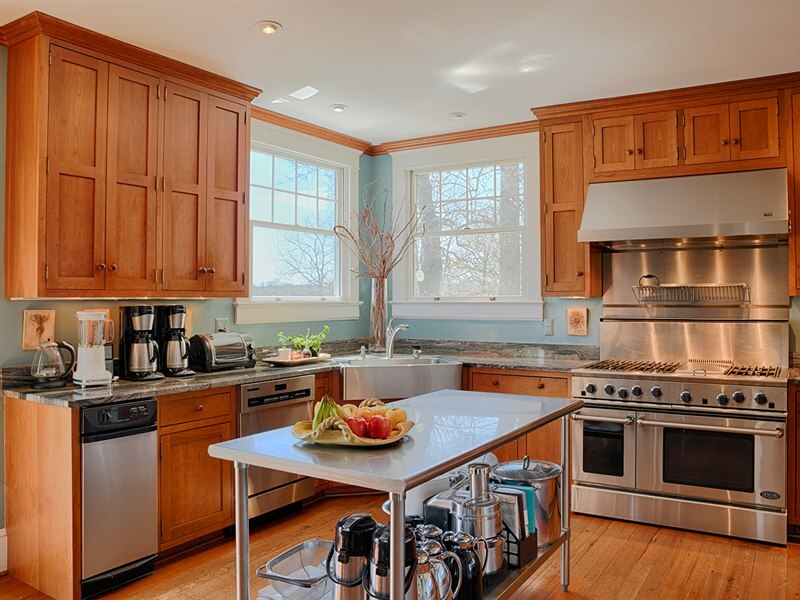 There are an abundance of active listings right now for pre-1940’s homes. 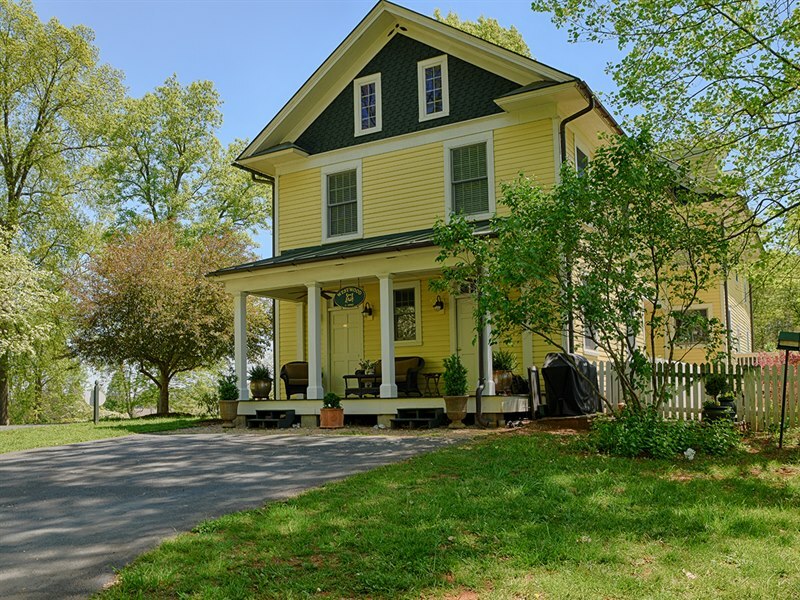 Buyers can have their pick from a wide range of beautiful historic homes. Homes ranging in price from $300,000 to $1 million have the most listings and the most sales in the past 12 months. 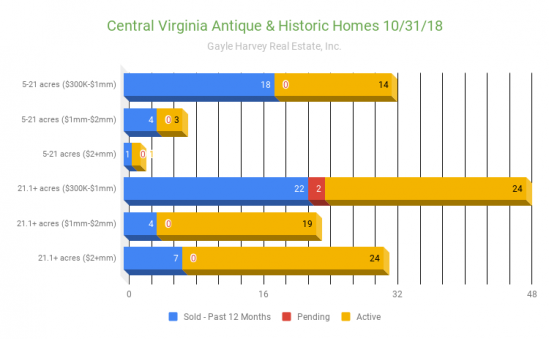 Of the homes in this price range, the antique and historic homes on parcels over 21 acres have had a few more sales in the past 12 months than homes with smaller land parcels. 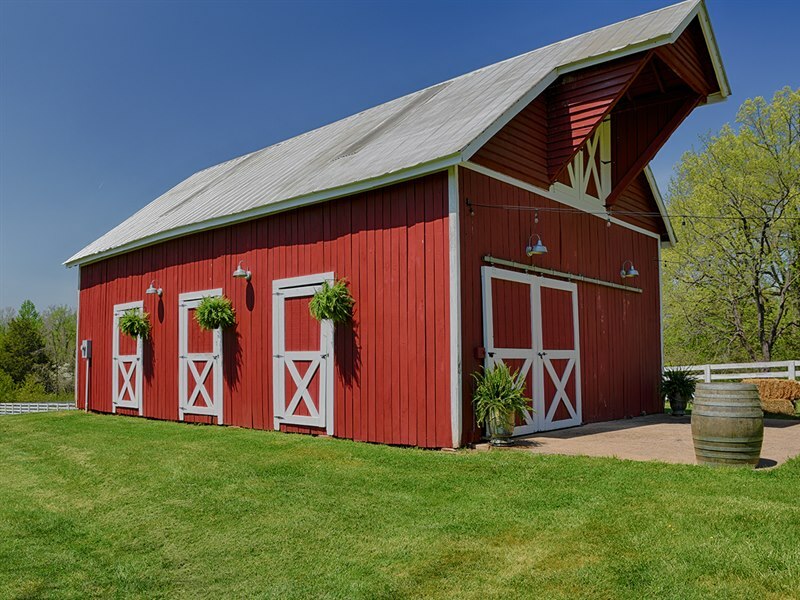 There are forty-three active listings for antique homes with over 21 acres of land at a price point of $1 million and over. Unfortunately, there have only been a total of 11 sales in the past year for historic homes of this size at this price level. Sellers may be facing a very long time with their homes on the market. With these current market conditions, it’s important to have a real estate broker who is knowledgeable and experienced. If you would like to discuss any of the information presented here, or have questions about buying or selling a historic home in Central Virginia, please contact me, Gayle Harvey, at Gayle@GayleHarveyRealEstate.com or 434-220-0256. 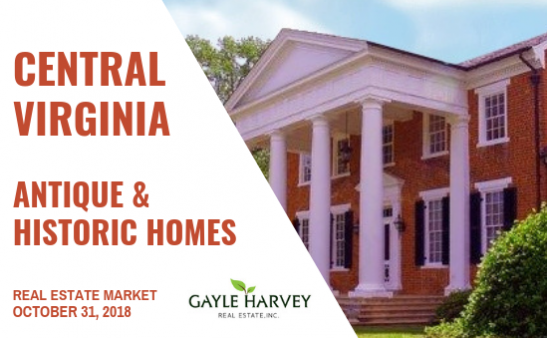 Check back each week as we break down the active listings and sales by the different geographical areas of Central Virginia.